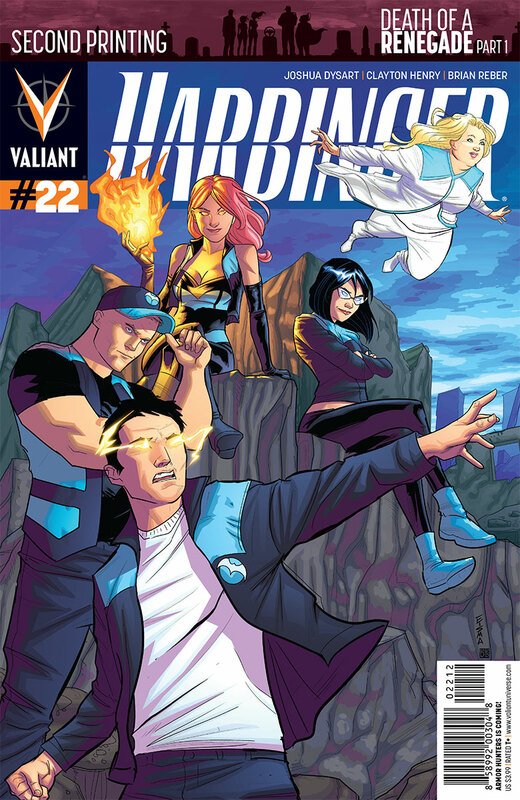 Valiant is proud to announce that HARBINGER #22 – the FIRST ISSUE of “Death of a Renegade”, the devastating new story arc from New York Times best-selling creators Joshua Dysart and Clayton Henry – has sold out at the distributor level just one week after its initial release, and will return to stores with a red-hot second printing on May 28th! United by their unique abilities, five teenage misfits have come together under the leadership of dysfunctional runaway Peter Stanchek – a psionically-powered “psiot” forced to self-medicate to keep his immense powers in check. 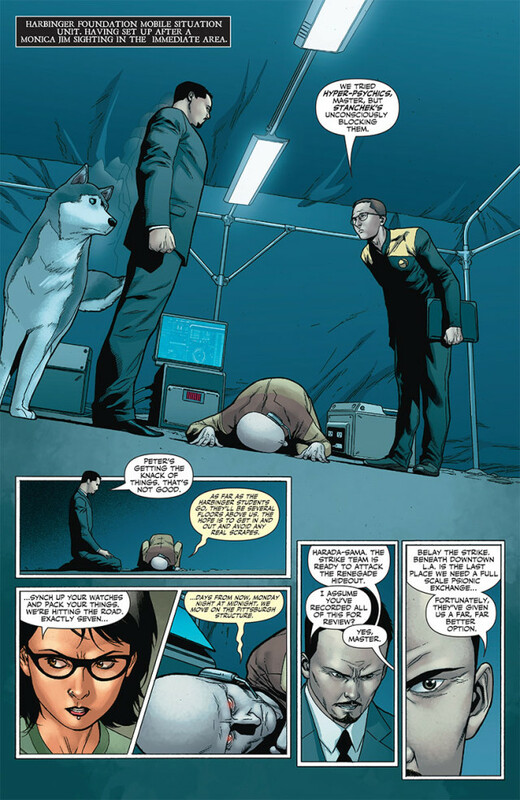 Recruited into the Harbinger Foundation – a secret academy where others like him are trained for the betterment of the world – Peter studied to become the protege of Toyo Harada, a wealthy business magnate and the only other “psiot” capable of rivaling Peter’s incredible telekinetic capabilities. 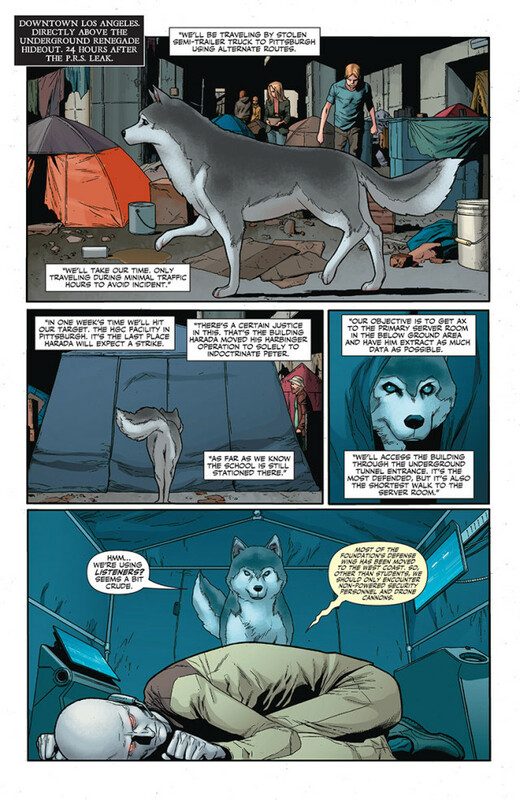 But teacher and pupil clashed when Peter discovered the true purpose of Harada’s secretive Harbinger empire – a better world…but one built by any means necessary, even subversion, conspiracy and control. Now, with only the rejected recruits of the Renegades to aid him, the one boy to ever challenge Harada’s vise-grip on the future of humanity has been left with no choice but to expose his former mentor to the world – then bring the fight to his front door. Featuring a new cover by acclaimed artist Joe Eisma (Morning Glories), look for the HARBINGER #22 EISMA SECOND PRINTING VARIANT to arrive in finer comic shops everywhere alongside HARBINGER #23 – the next staggering issue of “Death of a Renegade”…and the dawn of a milestone moment that will change everything in its wake. Beginning the storyline that will culminate in July’s extra-sized HARBINGER #25 and the launch of August’s HARBINGER: OMEGAS #1 (of 3), witness a pivotal turning point for the series The Onion/A.V. Club calls “one of the most binge-worthy superhero comics currently available” with an all-new beginning – and a sudden end – for Valiant’s premier team of teenage heroes on May 28th when HARBINGER #22 returns to the stands!